Dr. Peter Bloch, Oakville, On. 1 MORE CABIN JUST ADDED ON PREVIOUSLY SOLD OUT PROGRAM! REGISTER BY DEC 28, 2018 & SAVE $,000 / COUPLE ! LACES ! "Peter and Mary (Bloch) were gracious hosts. Their thirst for adventure and generosity of spirit added so much to our trip. The group we traveled with were a great bunch and we hope to cross paths in the future. The CMEs were informative and I enjoyed seeing the varied medical sites in each country"
"Peter and Mary (Bloch) were wonderful medical leaders - calm, helpful, interesting and vivacious- kudos to them"
Widely known as “The Land of Fire and Ice”, Iceland is one of the most fascinating places on planet Earth. The awe-inspiring landscapes, the pristine forces of nature, the infinite and always-surprising combinations of fire, water, earth and air are everywhere to be found. Nature lovers are mesmerized by Iceland’s spell. There are just not many places on our planet where you can admire black-sand beaches, erupting volcanoes, lumbering glaciers and thunderous waterfalls while at the same time swimming in hot springs, betting on when geysers will erupt, and hiking across barren rocky deserts. It’s no wonder the country’s nature has been the inspiration for countless Icelandic sagas and songs. However, as beautiful as Iceland might be, it’s also steeped in history and culture that’s well worth exploring. After all, it has a cultured European feel and a number of fantastic traditions. From the well storied history of Viking voyages to the interesting nature of the Icelandic literary tradition, there is so much to see, do, explore and learn. Iceland is packed with museums dedicated to the country’s history and heritage. From Viking log houses to the National Museum of Iceland, there really is something that everyone will enjoy – all while you learn about the country’s rich history. 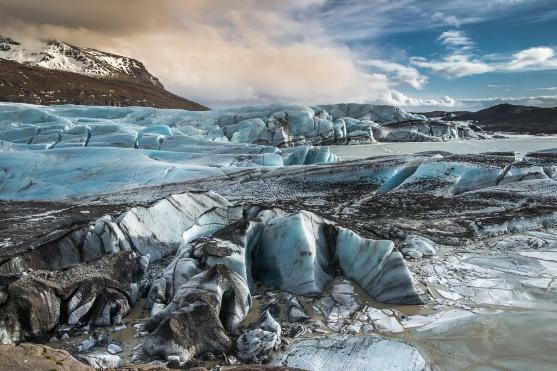 First, experience an unforgettable 10 day Circumnavigation cruise around Iceland onboard the Ocean Diamond to view the diversity of natural wonders that is Iceland. Stop at the Snaefellsnes Peninsula and the Snaefellsjokull Glacier, made famous by the stories of Jules Verne, on the West coast and the isolated Westfjords. The remote North coast includes idyllic abandoned fishing villages and still-thriving small towns as well as Grimsey Island on the Arctic Circle with its abundant birdlife, Skjalfandi Bay, one of the world’s main whale watching areas, and the northern capital of Iceland, Akureyri, the centre of the schizophrenic landscapes of the Lake Myvatn region. Head south through the Eastfjords, where you may spot seals while kayaking, or wild reindeer while hiking and home to the beautiful nature reserve Skalanes and on to the fishing village of Djupivogur close to the Vatnajökull Glacier and spectacular Jökulsarlon Glacier lagoon. Complete your circumnavigation as you explore the volcanic Westman Islands on your way along the South shore before returning back to the island’s capital, Reykjavik. After your cruise, spend 4 incredible days back on land in and around the charming, colorful capital of Reykjavik where you will see some of the spectacular inland sites of the Southern area of Iceland not covered in the cruise itinerary. Explore the UNESCO Thingvellir National Park; walk on the Solheimajökull glacier; marvel at the stunning waterfalls of Gulfoss, Skogafoss and Seljalandsfoss; be in the awe of the power of the geyser fields including Strokkur’ the world‘s most active geysirm; walk on the black volcanic beach at Reynisfjara and tour the Reykjanes Peninsular, learn about the history of the island’s volcanic activity at the LavaCenter at Hvolsvöllur and bathe in the thermal healing properties of the world famous Blue Lagoon. Physicians - Academic medical conference on the Ocean Diamond featuring local and Canadian speakers & interactive discussions on current medical issues. This will include a presentation on Polar medicine from one of the ship’s expedition team. Our recommended Manulife Travel Insurance can be purchased when as part of your registration above. However, for Canadian clients residing outside of Ontario, you should click on the Manulife Insurance button below to purchase travel insurance.